GREENWICH VILLAGE (WABC) -- A water main break caused quite a mess in Greenwich Village Wednesday night. 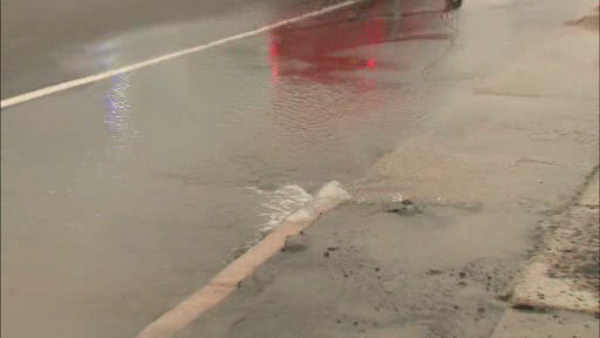 The main broke at the intersection of Macdougal and West 3rd Streets. Officials say several basements in the immediate area were flooded, including at least two buildings on the campus of nearby NYU. The water main has been capped off. Work crews remained on the scene Wednesday night making repairs.